Hi everybody! 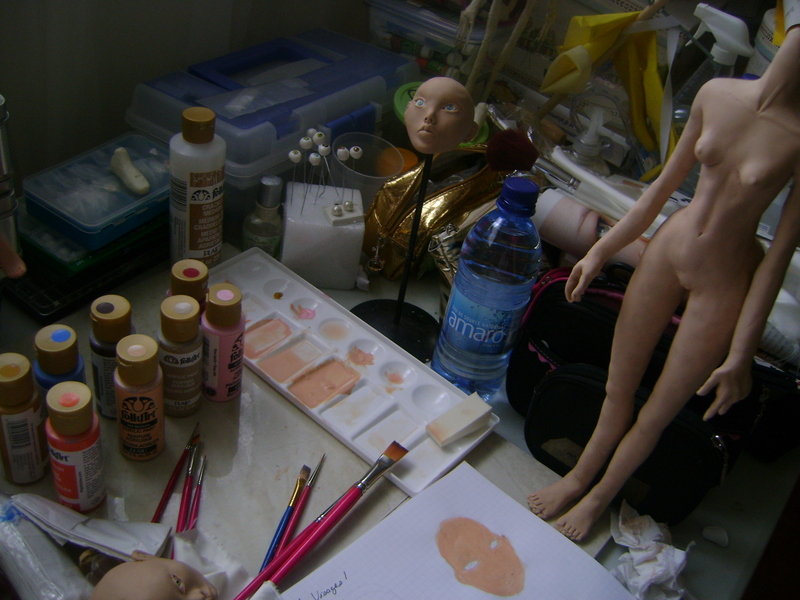 Making Clara was one thing and a challenging one, but it came to painting her…I was a bit scared. Many questions came into my head: What if she doesn’t look good? Is these acrylic paints are good? Do I have enough lighting? But at the end, after a lot readings and watching videos on YouTube, the only way for me to do it, was to practice on a default head sculpt. Good afternoon everybody here is my first doll Clara! I remember the day when I’ve fished her and that was in early April 2012! The feeling of making and finish her was one the greatest joy in my life! 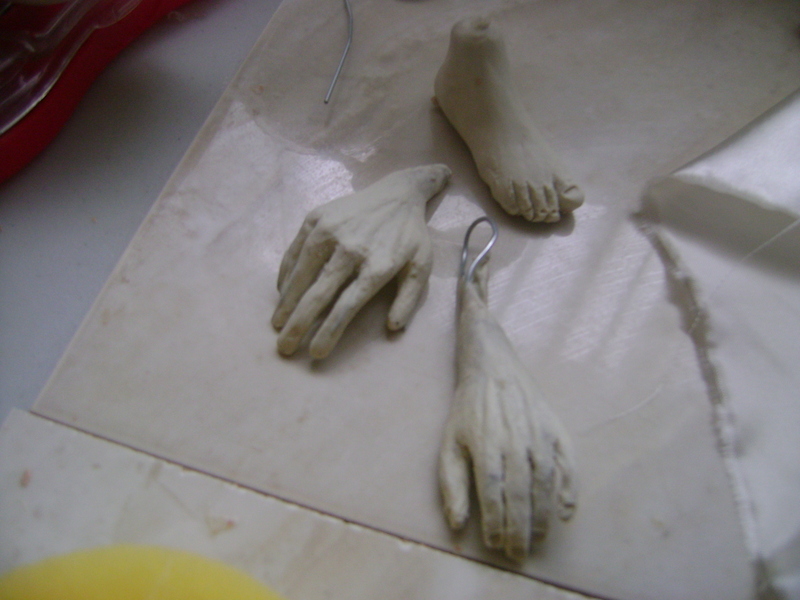 This picture shows my very first attempt with polymer clay conditioning with Fimo Classic (dark flesh). I have to be honest that the process was a very hard one…especially for my hands. They were so tired at the end! It took me more than four hours to do it! But over all I like this clay. 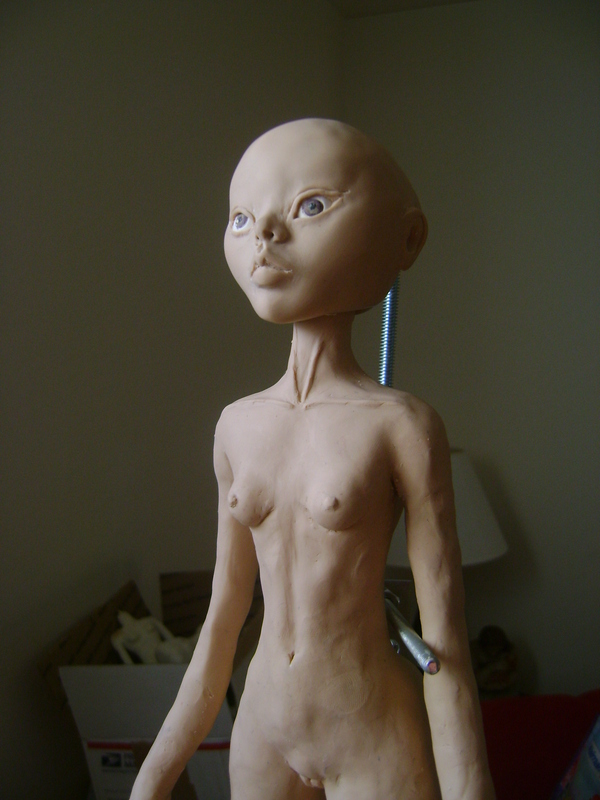 The very first body armature sketch I ever did based on my very first doll drawings in late 2011. 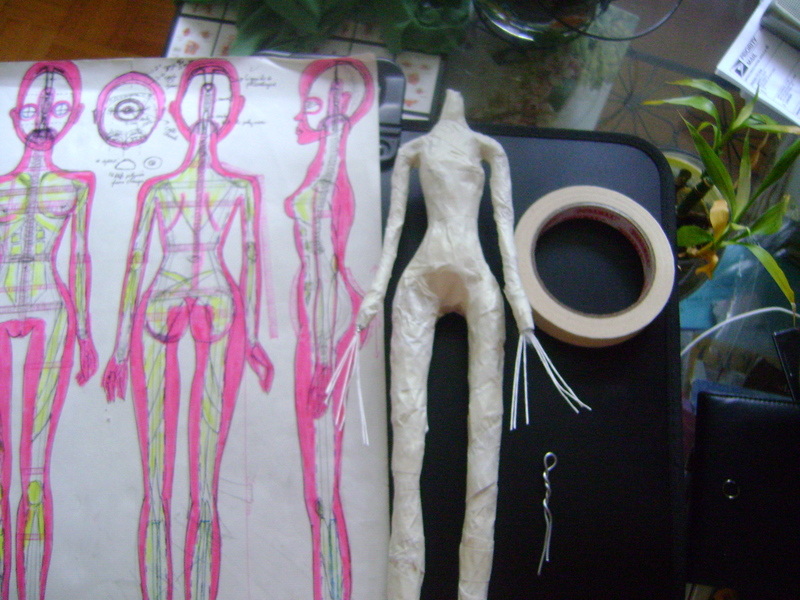 I had to find a lot in formations to make this armature and to find the right materials too. 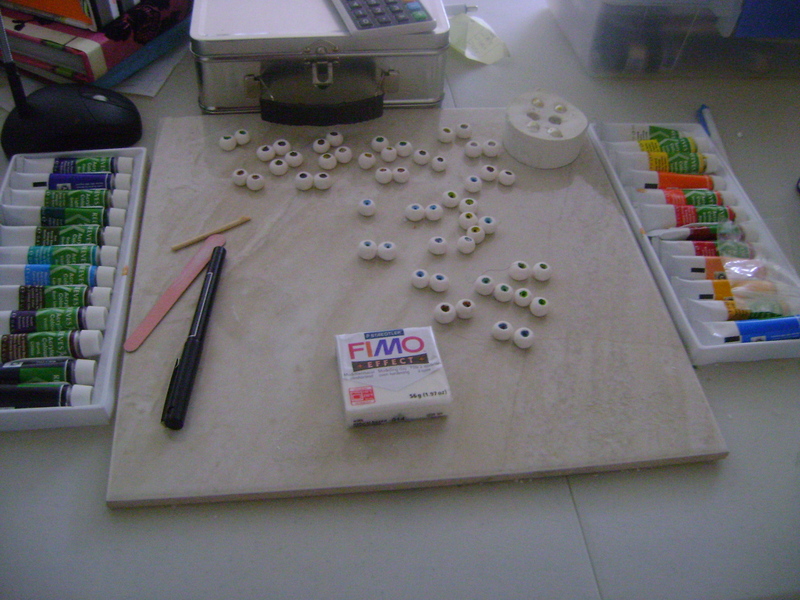 My first attempt on making polymer clay doll eyes painted with acrylic paints. From day one, I knew it was very important to create my own set of eyes, with all colors that I want. 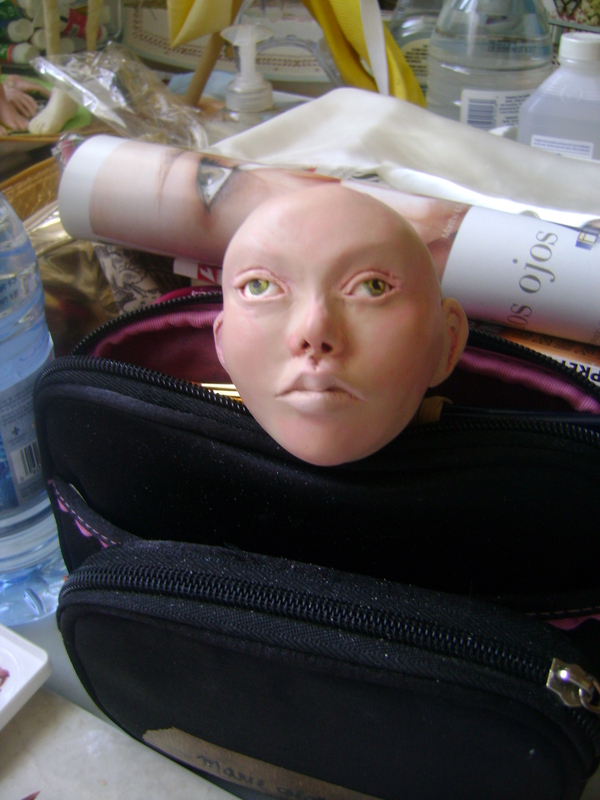 I’ve been searching throughout the intern on how to make handmade doll eyes. The results were great, by the end of January 2012, I was ready to make them! My first attempt on making hands and a foot! Practice were still needed! Hello guys! I want to share with the first torso I ever made back in late January 2012! This torso was also made with children soft clay. 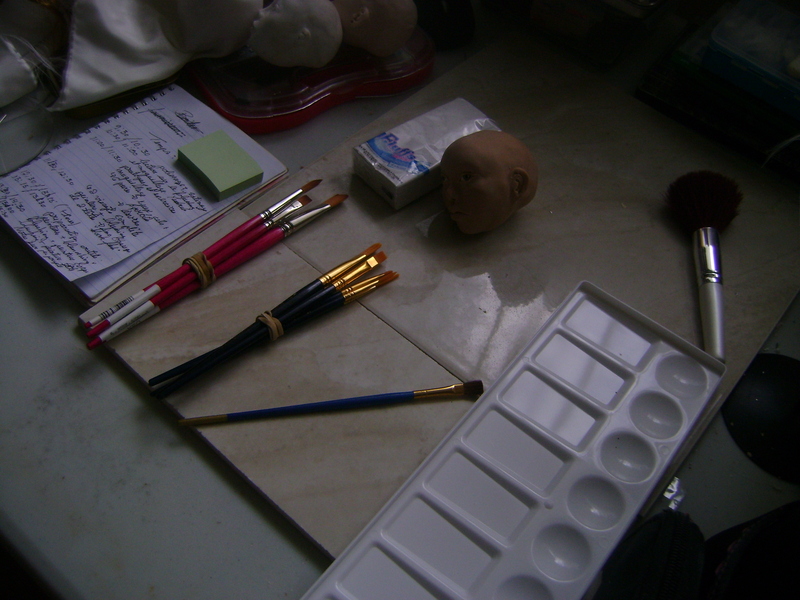 That head was the first head that I’ve painted. I was a bit nervous but I’ve had to try the acrylic paints. The second photos on the left shows my second head painted. They were both created in February 2012. I can’t help it! 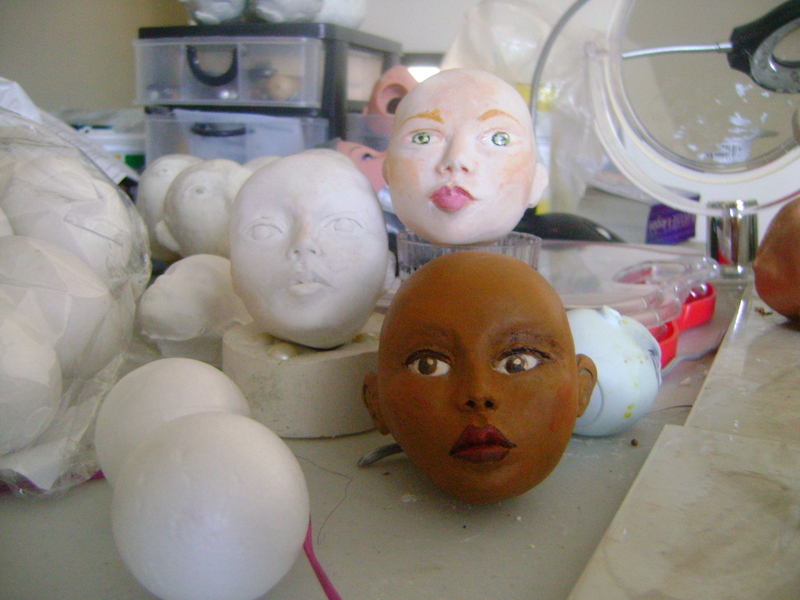 I have to show you guys my first batch of polymer clay heads. I’ve try to use various labels from the beginning! I’ve use Premo, Living Doll and Fimo Soft. 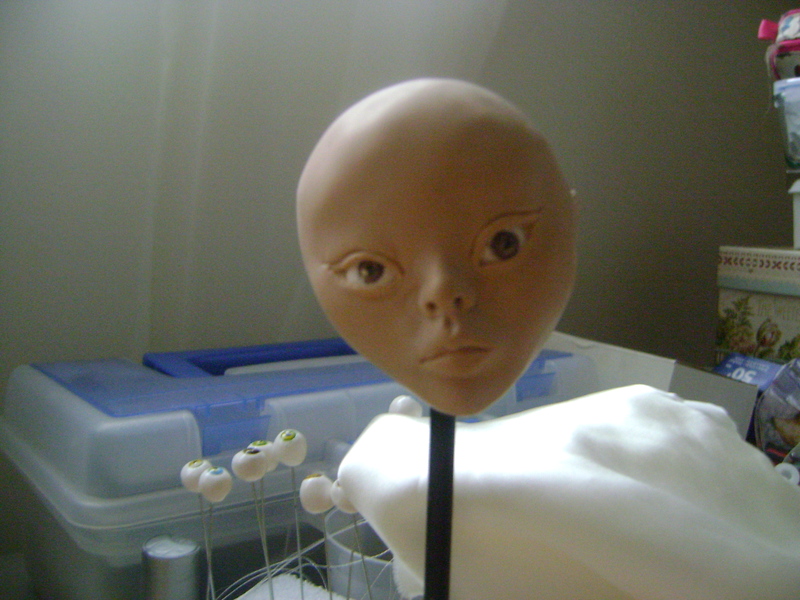 I have to be honest, sculpting heads can be difficult, especially when it comes for eyes! 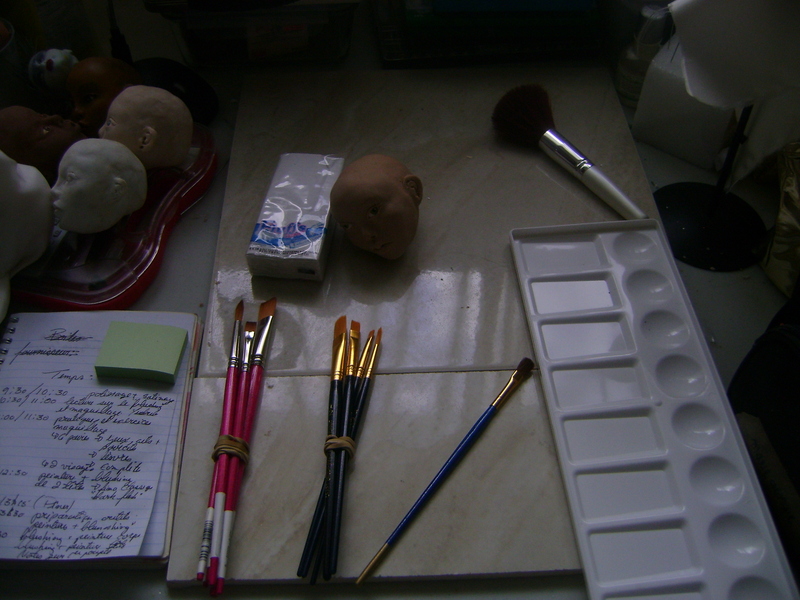 The only way to do it…is by practicing a lot by visualizing, taking notes, watching videos and reading a lot professional doll or sculpting book.